“Security & Safety First” We deliver our products to customers. To offer products at a reasonable price, we have an integrated manufacturing system in a foreign partner factory. Many of Our partner factories receive ISO9001 or ISO/TS16949, and planning and designing staff manages from at the experimental stage. Under our company’s technical guidance, our partner factories produce products fullfilled Japanese strict standard. We establish a local corporation in Shanghai and grapple with strict quality control. 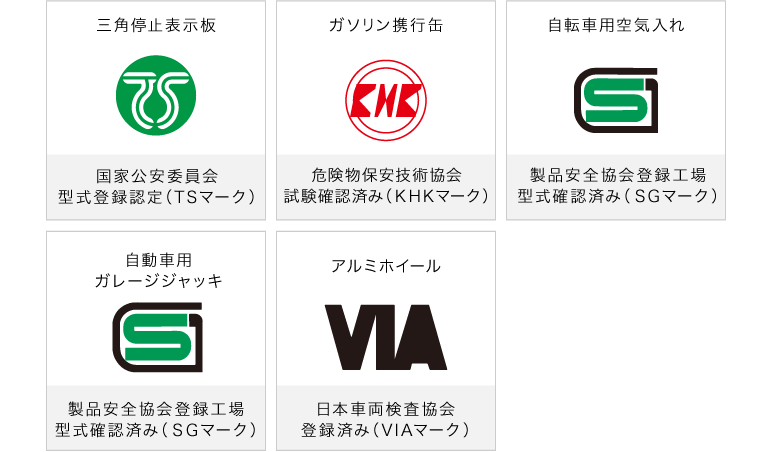 We offer products conformed to Japanese safety standards.